Bonita Porter has been at Eden Rafferty since December 1997 and practices exclusively in the areas of Social Security Disability Insurance and Supplemental Security Insurance claims. 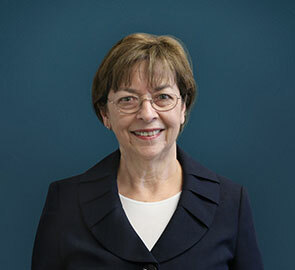 Over the course of her practice, she has represented disabled clients beginning with the initial claims through hearings before Administrative Law Judges throughout the New England area including Portland, Maine, Manchester, New Hampshire, Providence, Rhode Island, Hartford, Connecticut, and Boston, Lawrence, Springfield, and Worcester Massachusetts. She files some claims in house which allows claimants to avoid waiting in line at the local Social Security offices; she assists with the preparation of all requested documentation; and she meets with the clients throughout the process to develop the case and enable them to become more comfortable with what can be a very overwhelming experience.